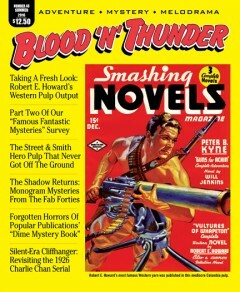 The latest issue of Blood ‘n’ Thunder continues our survey of Famous Fantastic Mysteries, that most underrated pulp reprint magazine. 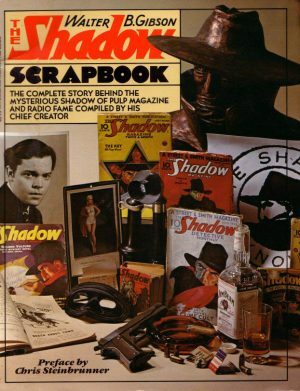 Readers will also find extensive coverage of important vintage films: “Cliffhanger Classics” revisits The House Without a Key, the 1926 silent serial that introduced moviegoers to Charlie Chan, while “Pulp Page to Silver Screen” takes an in-depth, behind-the-scenes look at three 1946 Monogram Pictures whodunits featuring The Shadow. Other department installments focus on such rare pulps as Detective Dragnet and Dime Mystery Book. In other articles: Western yarns by Robert E. Howard, creator of Conan the Barbarian, are examined and defended by Howard scholar Morgan Holmes. 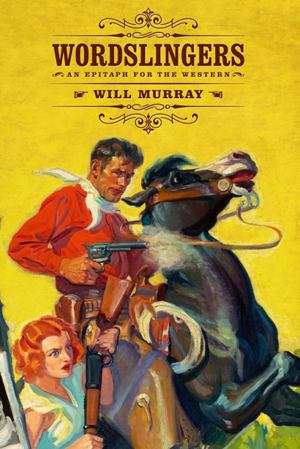 Prolific novelist Will Murray contributes a piece on a proposed Street & Street hero pulp that was to have had a time-traveling protagonist and be edited by the legendary SF writer John W.Campbell. 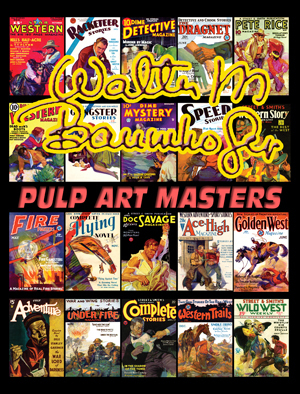 The issue is rounded out by two portfolios; one features ads for 1930s Street & Smith pulps published in the company’s top-selling movie fan magazine Picture Play, the other reproduces rare pulp cover paintings scanned from the original art.